It is unfortunate that the only surviving record of an individual working in the shale oil industry may be a report of a death or injury at work. In the early days of the industry both the mining of shale and the processing of oil took a terrible toll in human life. Information is presented here from a number of sources and will be extended as research progresses. Other official sources of information, for example Company Records and Health & Safety Executive Records will also be added over time. Newspaper accounts; short reports printed in the local and national press that often provide lurid accounts of deaths, injuries and other personal tragedies in a tough working life. Major accidents and disasters; lengthy newspaper reports of major mining disasters, and of major fires and explosions that were all too common in early oil works. 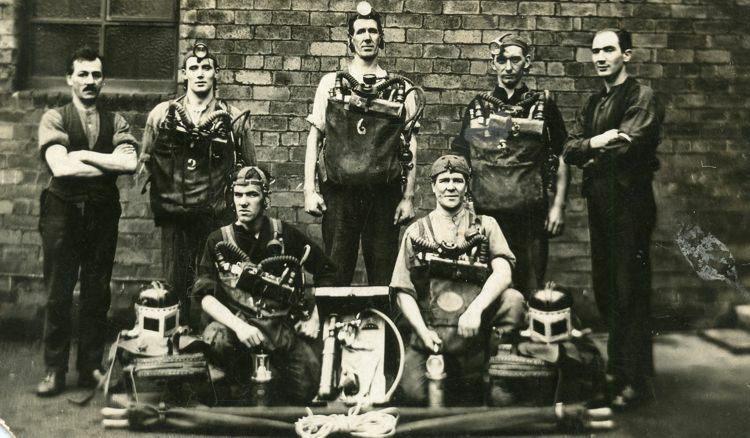 By far the worst accident in shale mining history occurred on the 10th January 1947, when 15 men lost their lives as a result of an explosion and fire in Burngrange No. 1 & 2 Pit. The Ministry of Fuel & Power report of an investigation into the disaster can be read here.